According to a recent Lifeway Research study, in the next seven years 55,000 churches in the United States will close their doors, and the number of those who attend a church on the weekend in the United States will drop from 17 percent to 14 percent. Only 20 percent of churches in the US are growing, and only 1 percent are growing by reaching lost people. So 95 percent of the church growth we celebrate merely shuffles existing Christians around. So churches aren’t just asleep, but when awake busy doing the wrong things. The enemy doesn’t care which ditch we’re in – as long as we’re in a ditch. For Greear, the problem is a result of both a lack of concern for Kingdom growth and a lack of gospel discipleship. The solution: “Churches that want to penetrate their world with the gospel think less about the Sunday morning bang and more about equipping their members to blast a hole in the mountain of lostness” and “the future of Christianity belongs to churches that send.” Why? Increasingly, in a “post-Christian” society, unbelievers will simply not make their way into our churches, no matter how “attractive” we make them. Multiplication beats out addition, every time. The presence of God accompanies those who send. Jesus’ promises of “greatness” in the church are always related to sending. Gaining by Losing seeks to get the church out of the ditch and back on the right path. 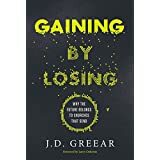 Following a candid testimony of how Greear’s heart was changed concerning Kingdom growth (chapter 2), he then gives the 10 things (plumb lines) the church he leads did to bring the focus back to center. Chapter 3 lays the foundation – the gospel. “Everything in the Christian life grows out of the gospel” (p. 59). Chapter 4 shatters the “myth” of calling – ‘Everyone is called… the question is no longer whether we are called, only where and how” (p. 70). Chapter 5 challenges the church to be missional, to be the church during the week and not just on the weekend, to be the church in the world rather than trying to attract the world to the church. Chapter 6 shows the importance of good leadership. Good leadership is not a personality that the church grows around but leaders reproducing leaders. Chapter 7 is about living Christ in our world, to make Christ visible. “When local churches equip their people to embody the gospel in the streets, they make movements of and otherwise invisible Christ visible to their community” (p. 119). Chapter 8 is a reminder to the church of how to measure success – are they making disciples. Chapter 9 is simple enough, PASTORS! Every pastor is a missions pastor. Chapter 10 covers the mandate for the church to be multi-ethnic. And chapter 12 – never give up. I highly recommend Gaining by Losing. Pastors will be challenged – I know, I am one! Members will be challenged – I know, I have them! And may sending be our purpose for worship, discipleship, and fellowship. So why did Jesus ask questions? I personally believe that Jesus’ motivation in asking questions was usually very similar to the reasons we explored Questions God Asks. He isn’t asking the questions for His own personal benefit but rather on behalf of the person being asked. Jesus was full of love and compassion for people. His questions penetrate the heart and probe our deepest motives. I love the fact that whenever others sought to trap Him with a question, Jesus would almost inevitably avoid answering and respond with a question of His own (which usually left His opponents speechless). Because these questions of Jesus have been preserved for us in the Scripture, I believe they are for our benefit as well. What does Jesus want us to consider about our assumptions, our prejudices, and out innermost thoughts and secrets? I invite you to join with me in this journey of discovery as we seek to find our answers through the Questions Jesus Asks. 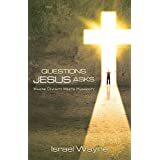 Then follows 20 questions that Jesus asked, each with a doctrinal subject that Wayne considers to be the purpose for Jesus’ question, or what He would have us to learn from His questions. I offer the questions along with the topic… and encourage you to grab this book and read it as Wayne sets forth the humanity of Christ in dealing with us humans! 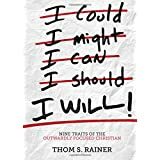 I Will: Nine Traits of the Outwardly Focused Christian is Thom Rainer’s a follow up to I Am a Church Member: Discovering the Attitude That Makes the Difference. In the latter book, Rainer descibes how a Christian can and should experience joy as a church member – the Christian’s attitude. In I Will, Rainer moves from attitude to actions that can and should flow from the heart of a joyous church member. Rainer suggests that while there are problems in some churches that might lead to one not feeling a part, the member is often at least a part of the problem, if not the entire problem. He suggests nine “I Wills,” nine chapters that will help a member refocus and be intentional in their responsibilities in a local church, to move from an “inward-focus” to an “outward-focus”: (1) Move from “I Am” (attitude) to “I Will” (action), (2) Corporate worship, (3) Fellowship, (4) Serve, (5) Go, (6) Give, (7) Not Drop Out, (8) Avoid “Churchianity” (9) Make a Difference. Each chapter challenges the member to make a determined effort to be “others” oriented. Every pastor and church leader should read this book because they do have members who have, are, or will become disenchanted with the church – every church has a Heather or two. Rainer will help the pastor better understand the “problem” member an better disciple them, but also to examine their ministry to see if something or someone has “slipped through the cracks.” The greatest benefit for church leaders is that Rainer says what we sometimes know we ought to but don’t for the sake of “unity.” He is blunt at times in hopes of getting a member to recognize their inwardness and wrong or unrealistic expectations of the church. Every church member should read this book because there will probably be a time when we feel like Heather – like we aren’t a part of the church. We need to hear what Rainer says, and his words might step on your toes. If so, pray that the words would be used to change your heart attitude and lead to heart actions that will be more fulfilling to you, your church, and the kingdom of God. Check out thomrainer.com/iwill/ for more information. I continue to be grateful for the current resurgence in the Church of Jesus Christ – a serious consideration of through whom and for what the Church consists. However, given the many positives in this resurgence there can be extremes, extremes that at the end of the day fall short of what the Scriptures teach concerning His Church. 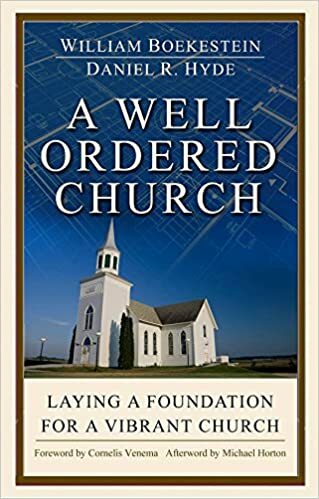 Therein is the reason I am also grateful for this new title by William Boekestein and Daniel R. Hyde, A Well-Ordered Church: Laying a Solid Foundation for a Vibrant Church. The title and the sub-title offer a complete description of the goal or purpose of the book: to provide what the Scriptures proclaim and second what some confessions teach concerning the foundation for the Church, how the church is to be built upon that foundation, and how the Church will function within and without according to this structure. The book is given in four parts: (1) Identity, (2) Authority, (3) Ecumenicity, and (4) Activity. The first two parts deal with the governance of the Church – Christ as the only Head (Identity) with earthly authority derived from Scripture and not the tradition of man (though the author’s do not discount the importance of traditions that are based on Scripture) that is fleshed out through the officers of the Church (elders/pastors and deacons). Of course, as with any book dealing with church governance (ecclesiology) there will be disagreement as to what the Scripture teaches – and the authors recognize that truth and do a good job of navigating the waters to stay on point. They emphasize the importance of a plurality of elders both biblically and practically and show the dangers where such plurality is lacking. They also give a biblical understanding of the deacons as servants of the church but also show the authority that comes with the diaconate. And they state that there is some flexibility in the Scriptures as to how this governance is practiced. As a congregationalist I found myself at times thinking that they had stated something too strongly. As an example, they point out that a church should not be absolutely autonomous. Though they do not use the word absolutely I use it for other congregationalists who might wince at what they say concerning autonomy. There purpose is to show that just as the Scriptures do not allow for spiritual Lone Rangers, neither does it allow for Lone Ranger churches. The early churches fellowshipped and associated with one another and they provide a model for the church today. Regardless of how that fellowship is fleshed out, whether through denominations or local associations, whether formal or informal, the authors contend that for the purpose of accountability and edification a local church should be in close association with sister churches, and I heartily agree. Congregationalists will find a few other points of disagreement where we can agree to disagree. The final part (Activity) fleshes out how a local church then practice church in six chapters. The church is to teach, worship, witness, and repent (the practice of church discipline). Each chapter is fairly brief and this is the one part of the book that could have provided a bit more detail. However, each of these chapters has entire books written on the subject and the authors do an adequate job of setting forth important points. I would encourage you to consider their recommendations for further reading at the end of the chapters for further study. While there have been numerous books published over the past twenty years on the church, and many like this one, I think you will find A Well-Ordered Church to be a brief yet valuable resource to turn to and to offer to others. The questions at the end of each chapter are good for church leaders and members to consider for the purpose of the Church – His Church, not our church! Taking from the foreword from Dr. Cornelius Venema, you will come away with a greater appreciation for the way Christ is present and active in the life and ministry of the local congregation. This latest addition to the “Bitesize Biographies” series by Evangelical Press will prove to be a beneficial addition to a Reformation library. In Ulrich Zwingli, William Boekestein provides not just a personal biography of the best known Swiss Reformer, but the political, magisterial, economic, educational and religious landscape in Switzerland in particular and in the broader European setting during the time of the Reformation. It serves then as a brief introduction to the Reformation. He highlights the key relations in Zwingli’s life that helped shape his political and theological thought (Erasmus of Rotterdam, Myconius, Bullinger, Luther, etc. ), whether in agreement or in dispute. Of course, the battle with Roman Catholicism is front and center as Boekestein tells of Zwingli’s powerful expository preaching and gentle shepherding while serving as a priest in Einsiedeln and later as priest and canon in Zurich at the renowned Great Minster Church. While Boekestein sets forth Zwingli’s emphasis on the centrality of Christ in his ministry, he does not shy away from the pitfalls of Zwingli’s life, specifically his confessed sexual immorality(ies) and his sometimes untimely emphases on certain disputes with Rome (popery, authority of Scripture, Mary, the mass, tithe/indulgences, iconoclasm, etc.) and with others (most notably the Anabaptists and his dispute with Luther). Let me state the unfortunate from the beginning – I just completed a series of sermons on “The Seven Sayings of Christ on the Cross” and wish I had this book beforehand! That said, Heaven, How I Got Here is a fresh approach to what actually happened mixed with what might have happened at the cross of Calvary. It is written in the genre of theological fiction, giving the story from a first person perspective of the thief on the cross that was told by Christ, “Today you will be with Me in Paradise.” Each chapter gives one of the events of the crucifixion, particularly a saying of Christ, narrated by the thief. Some might take issue with the “liberty” Smith takes in giving the perspective of the thief. True, there is much that is not found explicitly in the gospel accounts, and some would argue that some is not even inferred – and I would agree. However, I would also say that while liberty is taken, it is not out of the realm of possibility that much of Smith’s “retelling” actually happened fairly closely to his account. For instance, one might disagree with how the thief’s mother is cast as a legalistic parent, but she certainly might have been. 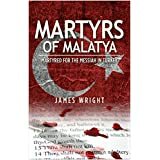 Regardless, all of this serves Smith’s purpose for the book, which is to demonstrate that salvation is by God’s grace alone through faith alone in Christ alone. Every facet of a salvific diamond is demonstrated according to the Scriptures, and the narrative serves as a backdrop to bring the reader into the moment of the crucifixion – the pain and the joy, the suffering and the deliverance. No man can be saved by his own works no matter how “good” (legalistic mother), nor is any man’s work to”evil” to keep him from salvation (the thief). And if a man comes to Christ by faith, he finds full satisfaction for forgiveness of sins in Christ and can experience true joy. This is the teaching of Scripture, and for that Heaven, How I Got Here is to be commended – and recommended.